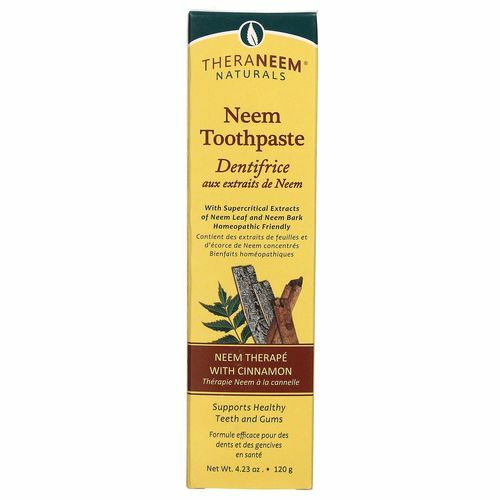 Trusted for centuries as an antioxidant and dental care herb, neem is the base ingredient in Organix South's Neem Toothpaste. 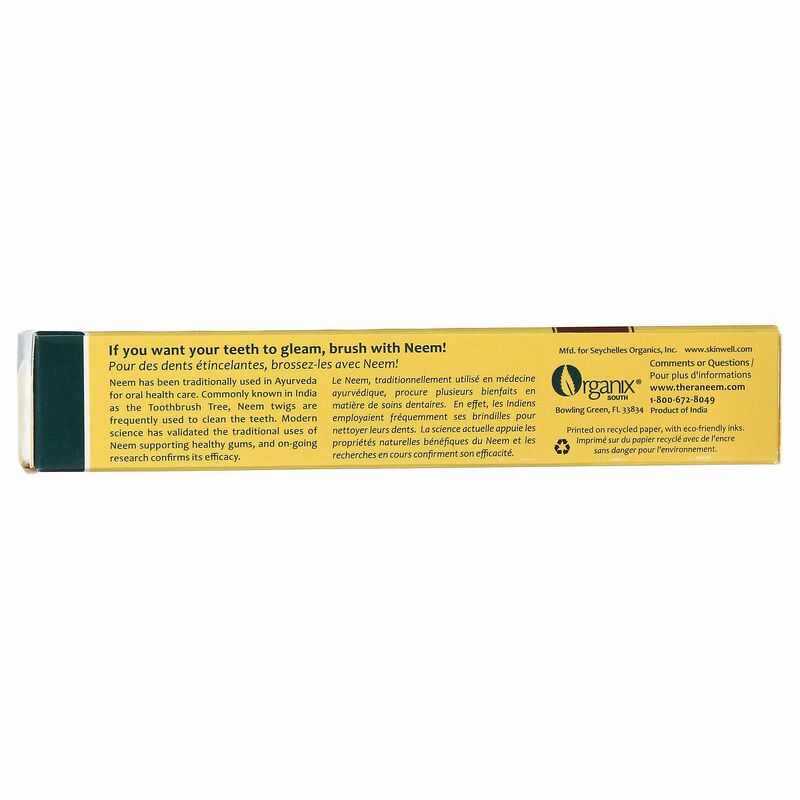 It's made from supercritical neem extracts that are free of chemical solvents and promote a healthier, brighter smile. Neem Toothpaste is flavored with natural and mostly organic oils that keep breath fresh and teeth white. 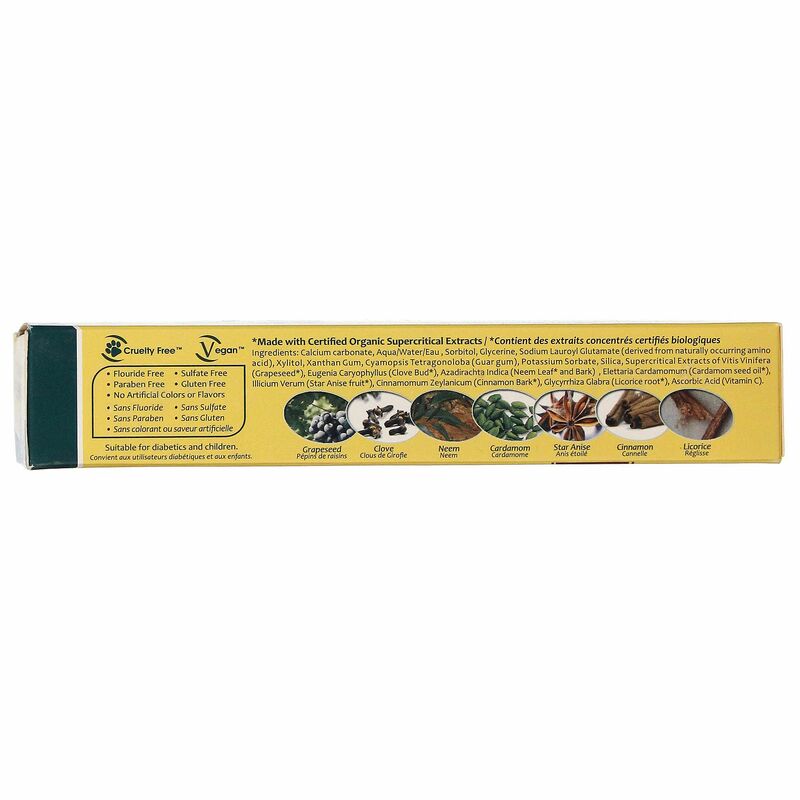 The antioxidants from the neem help keep your entire mouth protected from daily stressors and free radicals. Available in two flavors, Neem Toothpaste keeps your entire mouth clean without artificial colors, flavors or preservatives. 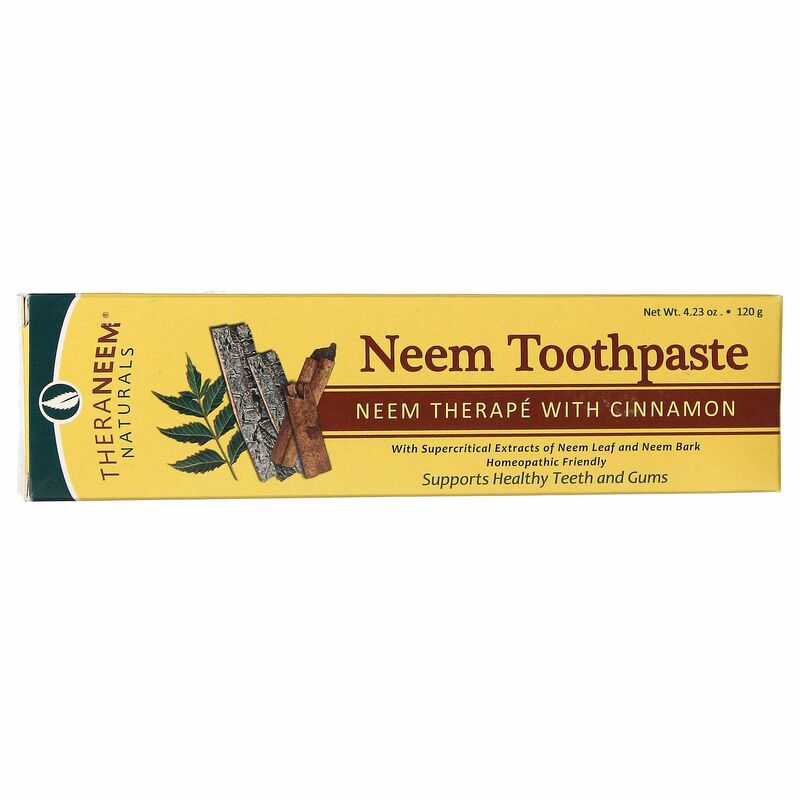 Place your order for Organix South's Neem Toothpaste today from eVitamins and save! Notes: Sulfate free. Gluten free. Flouride free. Paraben free. No artificial colors or flavors. Cinnamon Ingredients: Calcium carbonate, Aqua/Water/Eau , Sorbitol, Glycerine, Sodium Lauroyl Glutamate (derived from naturally occurring amino acid), Xylitol, Xanthan Gum, Cyamopsis Tetragonoloba (Guar gum), Potassium Sorbate, Silica, Supercritical Extracts of Vitis Vinifera (Grapeseed), Eugenia Caryophyllus (Clove Bud), Azadirachta Indica (Neem Leaf and Bark), Elettaria Cardamomum (Cardamom seed oil), Illicium Verum (Star Anise fruit), Cinnamomum Zeylanicum (Cinnamon Bark), Glycyrrhiza Glabra (Licorice root), Ascorbic Acid (Vitamin C). Mint Ingredients: Calcium carbonate, Sorbitol, Aqua/Water/Eau, Glycerin, Silica, Sodium Lauroyl Glutamate, Xylitol, Xanthan Gum, Cyamopsis Tetragonoloba (Guar) Gum, Supercritical Extracts of Vitis Vinifera (Grape) Seed, Glycyrrhiza Glabra (Licorice) Root, Foeniculum Vulgare (Fennel), Eugenia Caryophyllus (Clove) Bud, Azadirachta Indica (Neem) Leaf and Azadirachta Indica (Neem) Bark, Mentha Piperita (Peppermint) Oil, Potassium Sorbate, Mentha Viridis (Spearmint) Oil, Ascorbic Acid.